The statue of Joe Paterno was removed from Beaver Stadium on Sunday morning. 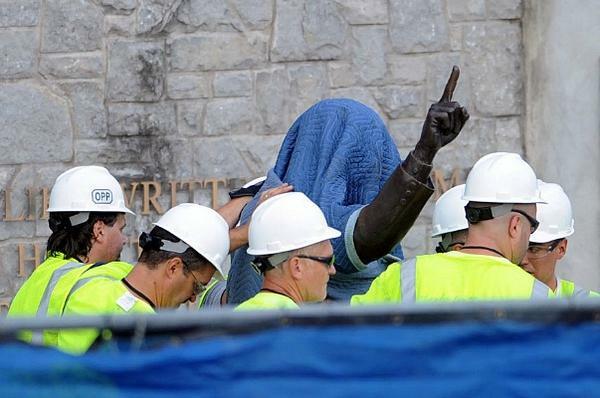 During the recent debate about whether the statue of Joe Paterno outside Beaver Stadium at Penn State University should be removed, there have been passionate and legitimate arguments on both sides. Now that it has been made and the statue removed, my hope is that the decision represents a real willingness to change the culture of the school, rather than just another decision made to appease outside interests and to save face for a tarnished program. Had the culture at Penn State been different over the last two decades it would not have changed the fact that Jerry Sandusky is a sick individual. However, if Paterno and other university leaders had been more concerned about doing the right thing and protecting innocent children, rather than protecting Sandusky and the reputations of the university and football program, the number of children whose lives were forever altered would be much smaller. Since the story first became public in early November, it seems that most of the focus within the national media has been on the impact to Paterno, Penn State and the universities vaunted football program. I think one reason some believe the NCAA should levy harsh penalties against Penn State (which according to reports is going to happen as early as Monday) is that perhaps by punishing the football program it will help the university regain their perspective. 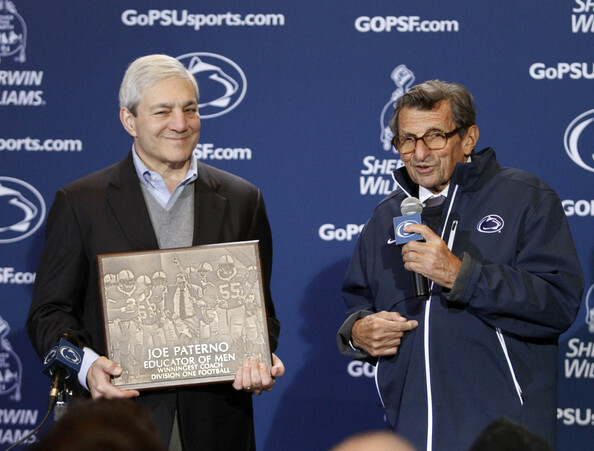 Joe Paterno received a plaque following his record setting win over Illinois, but you can guarantee he is already thinking about their next game against Nebraska. Though he watched the game from the cozy confines of the press box rather than the cold sidelines at Beaver Stadium, Penn State football coach Joe Paterno reached another milestone Saturday when his Nittany Lions overcame a shaky offensive performance to defeat Illinois 10-7. 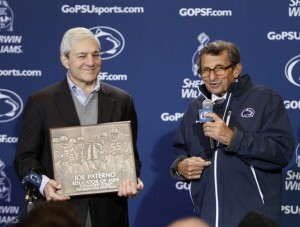 The victory was the 409th for Paterno, eclipsing the Division I record previously held by Eddie Robinson. In case you hadn’t been paying attention, Paterno’s team that most expected to finish in the middle of the pack in the Big Ten is suddenly has the best record in the Big Ten (8-1) and is the only team without a conference loss. Granted their three toughest games of the season will come on consecutive weekends beginning with their final home game on November 12th against 14th ranked Nebraska, but if they can manage even just one more league victory either against the Cornhuskers or on the road at Ohio State or Wisconsin, it is likely that the Nittany Lions will be playing in the first-ever Big Ten championship game. 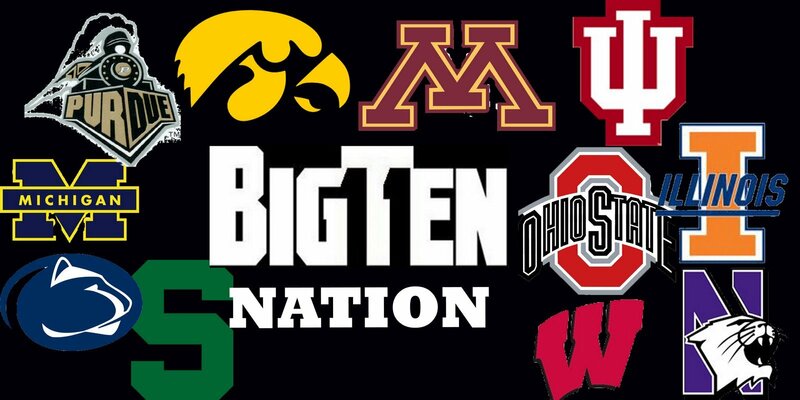 The Big Ten has seven unbeaten teams going into Week 3 of the football season––but let’s face it, many of the opponents during the first two weeks of the season have not exactly provided stiff competition. This, however, is true of most conference schedules. 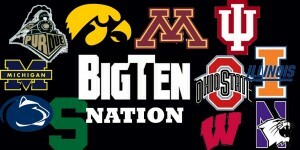 Yes, there are exceptions, with Penn State taking on No. 1 ranked Alabama and Ohio State taking on No. 13 ranked Miami Hurricanes. Illinois played Missouri out of the Big 12 in their opener, just as the Iowa Hawkeyes took on Big 12 In-State rival Iowa State. Additionally, Purdue played Notre Dame––just as Michigan played the Irish, as well Connecticut, out of the Big East. The Gophers are already reeling after being upset by the South Dakota Coyotes 41-38 in Week 2. Duane Bennett, who rushed 18 times for 104 yards, kept the Gophers competitive with two one-yard touchdown runs in the fourth quarter, the last with 3:21 left to cut the lead to three. Every time the Gophers have played football teams from the Dakotas, they’ve found themselves in deep trouble. North Dakota State came up one point short in 2006, but found a way to win at the Metrodome in 2007. Minnesota had to struggle mightily for a 16-13 victory over South Dakota State last November. The Gophers did not help themselves by turning the ball over twice in the first half last Saturday. First, Minnesota failed on a fourth down attempt at the South Dakota 30, and then QB Adam Weber fumbled at the Coyotes 30 in the closing seconds. Kicker Ellestad, who missed from 39 and 40 yards in the opening win at Middle Tennessee, also hooked a 48-yard field goal left. Weber found Stoudermire open on a post pattern from 49 yards out for Minnesota’s first touchdown and hit Gray and Da’Jon McKnight for scores in the third quarter. Weber was 21 for 31 for 258 yards.